Wishing all Eye On Orbit partners, clients and fans a wonderfull northern hemispheric winter solstice holiday & a stellar and lunatic start of the next solar orbit of our planet! Check out the happy holidays Virtual Reality (VR) card below! This 360 panorama of my future Martian homebase is created by Hans de Wolf. A much better experience watching this panorama is using your own smartphone and a VR viewer, like the one on the left here (or above on small screens). Click on this link with your smartphone. 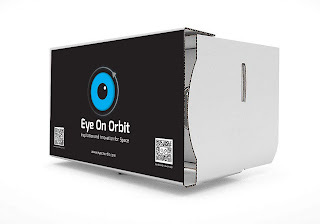 Now place your smartphone in your VR viewer and enjoy! If you are looking for more Space VR experiences, certainly have a look at this page. You can find many links there to Space VR apps and Space VR videos on YouTube. 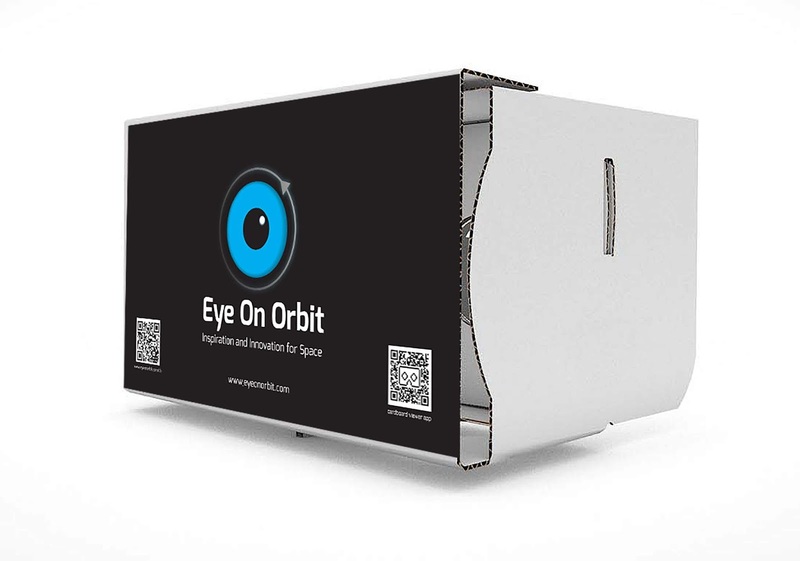 I am very pleased on where and what 2018 brought me and my company Eye On Orbit. Again, I have served more clients than previous years. There were also setbacks of course. A few proposals that were not granted and a project that stopped, right at the moment that I was about to go maximum throttle. 2018 was also a very diverse year with a very good balance between my three business pillars: Technical consultancy, Space Intelligence and Space Education & Outreach. Space is on a fast track in the global marketplace and that is good to see. I have been deeply involved in two developments at the tip of the spear of Space R&D. Firstly, Optical Satcom. This technology is going to disrupt the Satellite Communications market somewhere in the next decade. Ultra-secure communication with upto 100% eavesdrop resiliency using Quantum Key Distribution (QKD) systems will be possible. In addition, Optical SatCom can offer two orders of magnitude more bandwidth compared to RF, and spectrum unavailability will become a non-issue. Secondly, developing remote sensing instrumentation for small satellites. With InnoSpace from Rotterdam, I have been involved in developing a patented pushbroom spectrometer measuring in the Short-Wave InfraRed (SWIR) to detect methane emissions worldwide. Awareness about the climate change effects of methane in the Earth's atmosphere has increased significantly as this gas is at least 34 times a more potent climate gas than CO2. Methane is also the largest part of natural gas and leaks by the Oil & Gas Industry are significant. Worldwide regulations in the making will push these companies towards a zero leak tolerance, because of the huge cost savings they could make by preventing to pay significant methane emissions tax. But the thing is, the oil & gas industry is not the only source, and methane is very hard to measure with remote sensing instrumentation. Climate Change and Space was also at the heart of my involvement this year with the International Space University (ISU) Space Studies Programme (SSP) that landed in the province of South Holland. As part of an assignment from the Netherlands Space Office (NSO) I chaired a project team that worked on 'Space Aided Climate Change Adaptation: Air Quality and Floods'. Read all about my adventures here. On the Space Intelligence side, I would like to mention two projects that I got involved in. The first is SatSearch.co which is the easiest search engine for space products & services. Our cooperation has now really matured as the Eye On Orbit Space Missions Manifest (SMM) is now an integral part of SatSearch.co. The second project is the European SMILE Launcher project, where I did market analysis for the future customer base for this launcher. I executed a questionnaire that revealed quite an interesting perspective on the future of smallsat launcher vehicles. For Space Education I made a new record by providing Space presentations and workshops to a total of 33 schools, societies and musea. Have a look at my agenda to see the full list. Important part of my Space Education activities this year was the LEGO Moon City that was built together with 300 schoolkids and Ellen Pennings from de Bonte Bouwplaats. Another record this year was the amount of Interplanetary Abundance workshops I did. I executed a total of 7 for a.o. de Willem de Kooning Academy, Leiden University Air- & Space Law faculty and the First Lego League. Another outreach outlet I put my time in is the Ruimtevaart (Space) Podcast. This year, I have closely worked together with Den Haag FM who run their programme MediaMix. This even resulted in a non-stop one hour MediaMix special on the topic of Space, on the occassion of the European SpaceTalks. Another highlight this year, was my Yuri's Night presentation about 'Disasters and Rescue missions in Space' as an introduction to the epic Russian movie about the Salyut-7 space station, shown at the Imagine Film Festival. For April 2019, a similar event will happen. I will keep you posted! 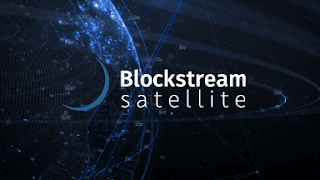 One project that I just started and will continue into 2019 is the Blockstream Satellite project. This is at a very interesting intersection between the Space domain and the Blockchain field. I will provide a keynote at the February 4 Dutchchain Tech Deep Dive event on the topic of this interesting intersection. One of the ideas I would like to pitch is to create a Blockchain like data inventory for Greenhouse Gas concentrations with financial incentives to actually update measurements globally to be able to track sources and sinks. But many more ideas about this are running around in my head! I am always interested to engage in business development activities for clients, and such conferences are always a good place to learn what is going on exactly. Let me know what and how I can help you with in relation to these conferences. I wish 2019 could become as fruitfull and diverse as 2018, but for now, it is still in the stars! One thing is already for sure, the historic Apollo 11 moonlanding will celebrate its 50th anniversary. That will certainly be of interest to many people. In the Netherlands, a special website is on to show events and activities in this Lunatic year 2019! I have also recently send in a response to the European Space Agency that issued a Request For Information for Lunar Science & Technology payloads. A long shot, I know, but I would love to work on a mission that goes to the Moon. With respect to Space Education & Outreach, I really would like to get involved and/or organize a workshop around the television series 'De Wilde Ruimte' airing in March 2019 on the Dutch public television network NPO2. As you can see, lots of plans but for now I take a short break untill 2019 starts (when on January 1, 2019 the New Horizons spacecraft zips by Kuiper Belt Object Ultima Thule). Wishing you a wonderfull holiday season and all the best for 2019!